Pets are living longer than ever – so much so that some breeds are now considered ‘senior’ for almost half of their lives. The signs of ageing in some pets are obvious – black Labradors seem to get their grey muzzle much earlier than they start to feel old! Some signs aren’t so obvious though, and one of the big ones we often miss as pet owners is the changes in digestion. The most important thing for dogs is managing their calorie intake. Dogs often need fewer calories as they get older because they aren’t as active as they used to be (though there are always exceptions to this rule!). Being overweight has been shown to worsen arthritis and has been linked to a decreased life expectancy, so it’s extremely important to avoid feeding excess calories. However, we don’t want our senior dogs to be too lean either, because a healthy amount of fat will help them cope with any periods of illness. The appetite can also decrease as age really starts to advance, so we sometimes need to balance feeding the right amount of calories with how much dogs will eat. Finding this balance can be one of the trickiest things about feeding older dogs. That’s not all though! Dogs’ ability to digest nutrients doesn’t change with age, but the digestion isn’t as adaptable, and it can’t cope as well with any deficiencies or, more commonly, excesses of nutrients. This means it’s vital to get the balance just right, and it’s especially important with protein. Senior dogs tend to lose muscle mass. This is what makes older dogs look frail or delicate, and it can also make arthritic pain worse. Loss of muscle does happen in humans too – it’s called sarcopenia. To help combat this, we want to feed extra protein, but this can be complicated if the dog develops a health condition made worse by too much protein in the diet – like kidney disease. 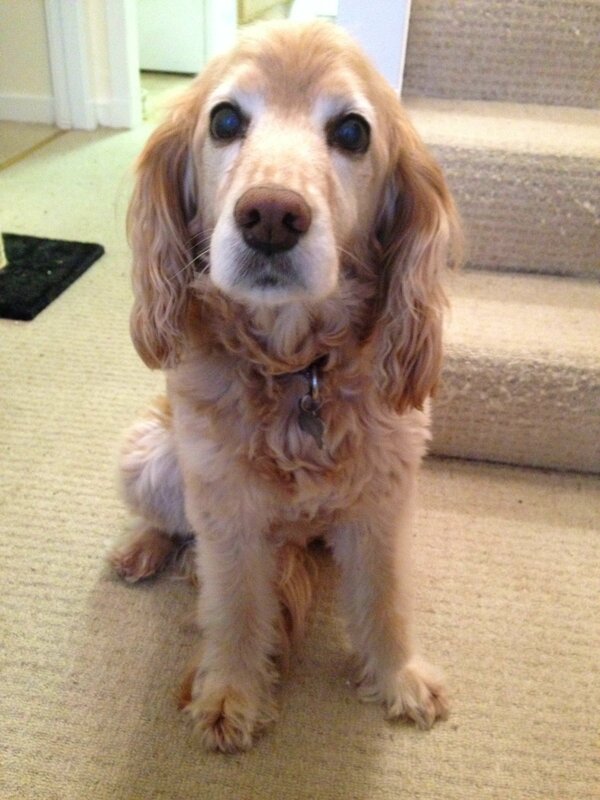 We may also want older dogs to have extra antioxidants and omega-3 fatty acids in their diet. There is some limited evidence to say that these supplements may help prevent reducing brain function (dogs can develop dementia-like symptoms in very advanced age) and help with arthritis. 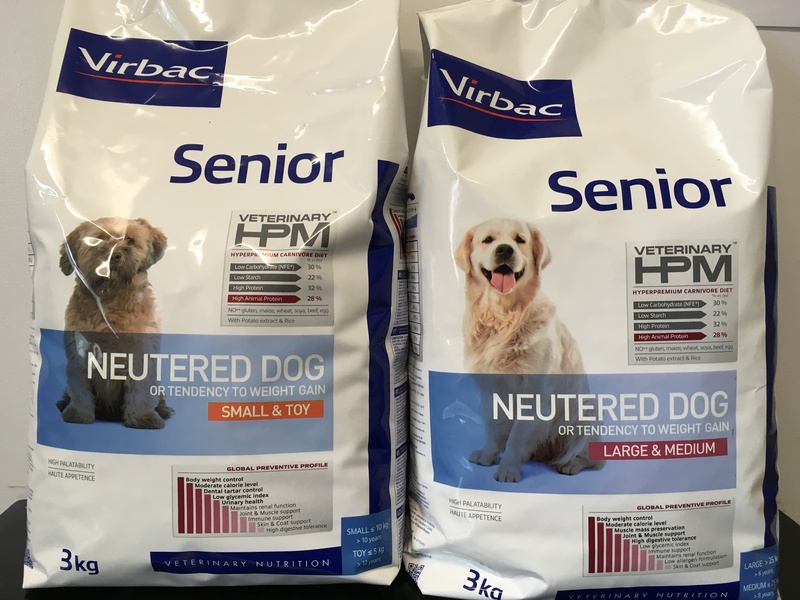 These aren’t considered essential, but they’re worth considering for the majority of older dogs. In cats, things are even more complicated – of course! Senior cats aren’t able to digest fat and protein as well as they used to, and their calorie requirements actually increase after 13 years of age. This is a huge problem when you’re a carnivore and these two nutrients are where you get all of your calories from, and you can suffer from loss of muscle in the same way as humans and dogs. 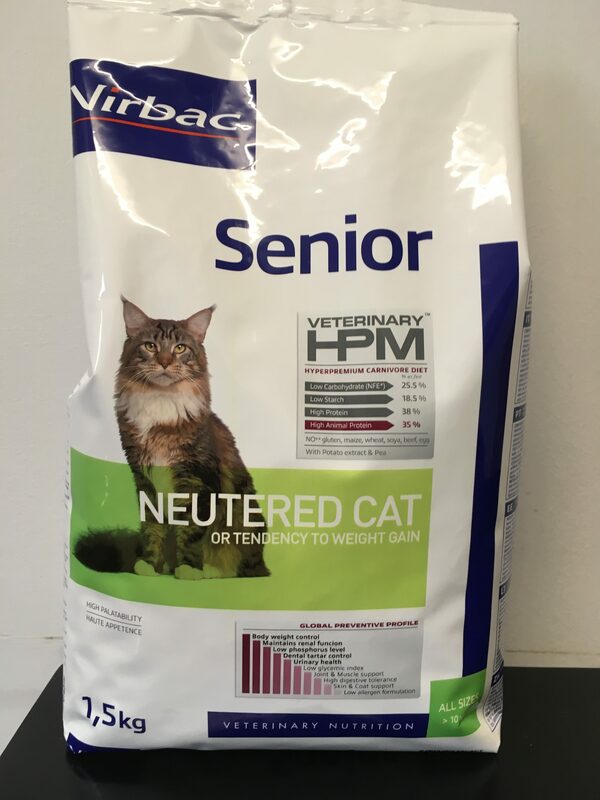 We still need to balance calorie content carefully and make sure older cats aren’t overweight, but we do need to feed older cats more calorie-dense foods with higher-quality protein to help meet their calorie requirements. We can also include antioxidants and omega-3s to help combat senility – it’s common for very old cats to forget their house training. Believe it or not, cats do need their joints looked after. Cats can and do get arthritis, and it’s believed to be one of the most under-diagnosed conditions in older cats. There are a variety of supplements we can add to the diet to help maintain joints, and finding the right mix for individual cats can make a big difference. Who knew feeding senior pets was so complicated! Luckily, this is where senior diets come in. Pet food companies have already done all the hard work for us, and senior diets are specially formulated to meet all of these needs as closely as possible. As with all pet foods, it’s worth getting the highest-quality diet you can. If you’re not sure if a diet is the right choice for your pet or you’re not sure if you’re feeding the right amounts, just get in touch! We can make diet recommendations, and take all the guesswork out of feeding your senior pet. Anxiety – does my pet need help? Neutering….. should I or shouldn’t I do it to my dog? The Importance of worming in puppies…..